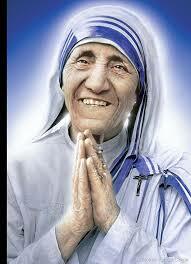 1891Apr 14Born at Mahu (Madhya Pradesh), the fourteenth child of Subhedar Ramji Sapkal and Mrs Bhimabai Ambedkar. 1900NovEntered the Government High School at Satara. 1904Entered the Elphinstone High School at Bombay. 1907Passed Matriculation Examination, scored 382 marks out of 750. 1908JanHonoured in a meeting presided over by Shri S K Bole, Shri K A (Dada) Keluskar Guruji presented a book on the life of Gautam Buddha written by him. Entered the Elphinstone College, Bombay. 1912DecBirth of the son Yeshwant. 1913Passed B.A Examination with Persian and English from University of Bombay, scored 449 marks out of 1000. 1913FebDeath of father Subhedar Ramji Maloji Ambedkar at Bombay. 1913JulyGaikwar’s Scholar in the Columbia University, New York, reading in the Faculty of Political Science. 1915June 5Passed M.A. Examination majoring in Economics and with Sociology, History Philosophy, Anthropology and Politics as the other subjects of study. 1916MayRead a paper on The Castes in India’ before Prof. Goldernweiser’s Anthropology Seminar. The paper was later published in The Indian Antiquary in May 1917. It was also republished in the form of a brochure, the first published work of Dr Ambedkar. Wrote a Thesis entitled ‘The National Divident of India – A Historical and Analytical Study’ for the Ph.D Degree. 1916JuneLeft Colombia University after completing work for the Ph.D, to join the London School of Economics and Political Science, London as a graduate student. 1917Columbia University conferred a Degree of Ph.D.
1917JuneReturn to India after spending a year in London working on the thesis for the M.Sc. (Econ) Degree. The return before completion of the work was necessitated by the termination the scholarship granted by the Baroda State. 1917JulyAppointed as Military Secretary to H.H. the Maharaja Gaikwar of Baroda with a view Finance Minister. But left shortly due to ill. Treatment meted out to him because of his lowly caste.Published “Small Holdings in India and Their Remedies”. 1918NovProfessor of Political Economy in the Sydenham College of Commerce & Economics, Bombay. 1920Jan 31Started a Marathi Weekly paper Mooknayak to champion the cause of the depressed classes. Shri Nandram Bhatkar was the editor, later Shri Dyander Gholap was the editor. 1920Mar 21Attended depressed classes Conference held under the presidency of Chhatrapati Shahu Maharaj at Kolhapur. 1920MarResigned professorship at Sydenham College to resume his studies in London. 1920MayMemorable speech in Nagpur, criticised Karmaveer Shinde and Depressed Classes Mission. 1920SeptRejoined the London School of Economics. Also entered Gray’s Inn to read for the Bar. 1922-23Spent some time in reading economics in the University of Bonn in Germany. 1923MarThe Thesis ‘The Problem of the Rupee – Its origin and its solution’ was accepted for the degree of D.Sc. (Econ.). The thesis was published in December 1923 by P S King & Company, London. Reissued by Thacker & Company, Bombay in May 1947 under the title History of Indian Currency and Banking Vol. 1. 1924JuneStarted practice in the Bombay High Court. 1924July 20Founded the ‘Bahishkrit Hitkarini Sabha’ for the uplift of the depressed classes. The aims of the Sabha were educate, agitate, organise. Opened a hostel for Untouchable students at Barshi. 1926Gave evidence before the Royal Commission on Indian Currency (Hilton Young Commisssion). Nominated Member of the Bombay Legislative Council. 1927Mar 20Started Satyagraha at Mahad (Dist Kolaba) to secure to the untouchables the Right of access to the Chavdar Tank. 1927Apr 3Started a fortnightly Marathi paper Bahiskrit Bharat Dr Ambedkar himself was the editor. 1928MarIntroduced the “Vatan Bill” in the Bombay Legislative Council. 1928MayGave evidence before the Indian Statutory Committee (Simon Commission). 1928JuneProfessor. Government Law College Bombay. Principal. Government Law College Bombay. 1928-29Member. Bombay Presidency Committee of the Simon Committee. 1930MarSatyagraha at Kalram Temple. Nasik to secure for the Untouchables the right of entry into the temple. 1930-32Delegate. Round Table Conference representing Untouchables of India. 1932SeptSigned with Mr. M.K. Gandhi the Poona Pact giving up, to save Gandhi’s life. separate electorates granted to the Depressed Classes by Ramsay MacDonald’s Communal Award, and accepting, instead representation through joint electorates. 1932-34Member joint Parliamentary Committee on the Indian Constitutional Reform. 1934Left Parel, Damodar Hall and came to stay in ‘Rajagriha’ Dadar (Bombay). This was done in order to get more accommodation for his library which was increasing day by day. 1935May 26Death of wife. Mrs. Ramabai Ambedkar. Oct 13Historical Yeola Conversion Conference held under the Presidentship of Dr. Ambedkar at Yeola Dist., Nasik. 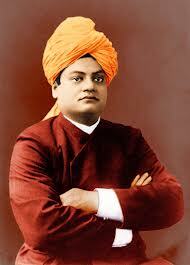 He exhorted the Depressed Classes to leave Hinduism and embrace another religion. He declared: ‘I was born as a Hindu but I will not die as a Hindu’. He also advisedhisfollowers to abandon the Kalaram Mandi entry Satyagriha, Nasik. DecDr. Ambedkar was invited by the Jat Pat Todak Mandal of Lahore to preside over the Conference. Dr.Ambedkar prepared his historical speech. The Annihilation of Caste’. The conference was cancelled by the Mandal on the ground that Dr.Ambedkar’s thoughts were revolutionary. Finally, Dr. Ambedkar refused to preside and published his speech in book form in1937. 1936Jan 12-13The Depressed Classes Conference was held at Pune. Dr. Ambedkar reiterated his resolve of the Yeola Conference to leave Hinduism. The conference was presided over by Rav Bahadur N. Shina Raj. Feb 29Dr. Ambedkar’s Conversion Resolution was supported by the Chambars (Cobblers) of East Khandesh. May 30Bombay Presidency Conversion Conference (Mumbai Elaka Mahar Panshad) of Mahars was held at Naigaum (Dadar) to sound their opinion on the issue of Conversion. Mr. Subha Rao, popularly known as Hydrabadi Ambedkar, presided over the Conference. In the morning the Ascetics shaved their beards, moustaches and destroyed their symbols of Hinduism in an Ascetic’s Conference. June 15Conference of Devadasis was held m Bombay to support Dr. Ambedkar’s Resolution of Conversion. June 18Dr. Ambedkar-Dr. Moonje talks on conversion. Pro Sikkhism. June 23Matang Parishad in support of Conversion. AugDr. Ambedkar founded the Independent Labour Party, a strong opposition party in Bombay’s Legislative Council. Sept 18Dr.Ambedkar sent a delegation of 13 members to the Golden Temple Amritsar to study Sikkhism. Nov 11Dr.Ambedkar left for Geneva and London. 1937Dr.Ambedkar organised the ‘Municipal Workers’ Union’ Bombay in 1937. Jan 14Dr. Ambedkar returned to Bombay. Mar 17The Mahad Chowdar Tank case was decided in favour of D.C. by which they got a legal right to use the public wells and tanks. July31Dr. Ambedkar received a grand reception at Chalisgaon Railway station. Dec31Reception at Pandhapur on the way to Solapur, where he was going to preside over the Solapur District D.C’. Conference. 1938Jan 4Reception given by the Solapur Municipal Council. 1938JanThe Congress Party introduced a Bill making a change in the name of Untouchables. i.e. they would be called Harijans meaning sons of God. Dr. Ambedkar criticised the Bill. as in his opinion the change of name would make no real change in their conditions. Dr. Ambedkar and Bhaurav Gaikwad protested against the use of the term Harijans in legal matters. When the ruling party by sheer force of numbers defeated the I.L.P., the Labour-Party group walked out of the Assembly in protest under the leadership of Dr. Ambedkar. He organised peasants march on Bombay Assembly. The peasants demanded the passing of Dr. Ambedkar’s Bill for abolition of the Khoti system. 1938Jan 23Dr. Ambedkar addressed a Peasants’ Conference at Ahmedabad. 1938Feb 12-13Dr. Ambedkar addressed a historical Conference of Railway workers at Manmad (Dist. Nasik). 1938AprDr. Ambedkar opposed creation of a separate Karnataka State in the national interest. 1938MayDr. Ambedkar resigned from the Principal-ship of the Government Law College, Bombay. 1938May 13-21Dr. Ambedkar went on tour of Konkan Region. He also went to Nagpur in connection with a court case. 1938AugA meeting was held at R.M. Bhat High School, Bombay for exposing Gandhiji’s attitude in disallowing a D.C. man being taken into the Central Ministry. 1938SeptDr. Ambedkar spoke on the Industrial Disputes Bill in the Bombay Assembly. He bitterly opposed it for its attempt to outlaw the right of workers to strike. 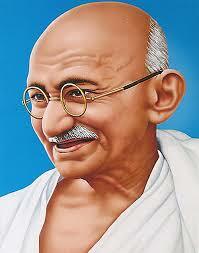 He said: If Congressmen believe that Swaraj is their birth-right, then the right to strike is the birth-right of workers. 1938Oct 1Dr. Ambedkar addressed a large gathering at Bawala, near Ahmedabad. On return he addressed another meeting at Premabhai Hall, Ahmedabad. 1938Nov 6The Industrial Workers strike. The procession (under the leadership of Dr. Ambedkar, Nirnkar, Dange, Pasulkar etc) was organised from Kamgar Maidan to Jambori Maidan, Worli. Dr.Ambedkar toured the workers areas with Jamvadas Mehta. 1938Nov 10Dr. Ambedkar moved a Resolution for adoption of the methods for birth-control in the Bombay Assembly. 1938DecDr. Ambedkar addressed the first D.C. Conference in Nizam’s dominion at Mahad. Jan 29Kale Memorial Lecture of Gorkhale School of Politics and Economics, Poona reviewing critically the All India Federation Scheme set out in the Govt. of India Act of 1935. The speech was issued in March 1939 as a tract for the times under the title ‘Federation v/s Freedom’. JulyDr. Ambedkar addressed a meeting organised for Rohidas Vidya Committee. 1940MayDr. Ambedkar founded the ‘Mahar Panchayat’. 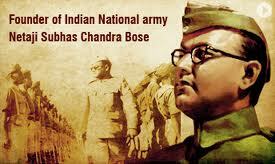 1940July 22Netaji Subash Chandra Bose met Dr. Ambedkar in Bombay. 1940DecDr. Ambedkar published his Thoughts on Pakistan. The second edition with the title Pakistan or Partition of India was issued in February 1945. A third impression of the book was published in 1946 under the title India’s Political What’s What: Pakistan or Partition of India. 1941May 25Mahar Dynast Panchayat Samiti was Formed by Dr. Ambedkar. 1941JulyDr.Ambedkar was appointed to sit on the Defence Advisory Committee. 1942AprDr. Ambedkar founded the All India Scheduled Castes Federation in Nagpur. 1942July 18Dr. Ambedkar addressed All India D.C. Conference at Nagpur. 1942DecDr. Ambedkar submitted a paper on “The problems of the Untouchables in India” to the Institute of Pacific Relations at its Conference held in Canada. The paper is printed in the proceedings of the Conference. The paper was subsequently published in December 1943 in the book form under the title Mr Gandhi and Emancipation of the Untouchables. 1943Jan 19Dr. Ambedkar delivered a Presidential address on the occasion of the 101st Birth Anniversary of Justice Mahader Govind Ranade. It is published in book form in April 1943 under the titleRanade. Gandhi and Jinnah. 1944Dr. Ambedkar founded “The Building Trust and the Scheduled Caste Improvement Trust”. 1944JuneDr.Ambedkar published his book What Congress and Gandhi have done to the Untouchables - a complete compendium of information regarding the movement of the Untouchables for political safeguards. Dr.Ambedkar attended the Simla Conference. 1944JulyDr Ambedkar founded ‘People’s Education Society’ in Bombay. 1946Dr Ambedkar gave evidence before the British delegation. SeptDr Ambedkar went to London to urge before the British Government and the Opposition Party the need to provide safeguards for the D.C., on grant of Independence to India and thus to rectify the wrongs done to the D.C. by the Cabinet Mission. Oct 13Dr Ambedkar published his book. Who were Shudras? An enquiry into how the Shudras came to be the fourth Varna in the Indo-Aryan Society. Dr Ambedkar was elected Member of the Constitution Assembly of India. NovDr Ambedkar’s First speech in the Constituent Assembly. He called for a ‘strong and United India’. 1947MarPublished ‘States and Minorities’. A memorandum of Fundamental Rights, Minority Rights, safeguards for the D.C. and on the problems of Indian states. 1947Apr 29Article 17 of the Constitution of India for the abolition of Untouchability was moved by Sardar Vallabhbhai Patel in the Constituent Assembly and it was passed. First Law Minister of Independent India. The Constituent Assembly appointed him to the drafting Committee, which elected him as a Chairman on 29th August 1947. 1948FebDr Ambedkar completed the Draft Constitution of Indian Republic. 1948Apr 15Second marriage – Dr Ambedkar married Dr Sharda Kabir in Delhi. 1948OctPublished his book The Untouchables. A thesis on the origin of Untouchability. Dr Ambedkar submitted his Memorandum, “Maharashtra as a linguistic Province” to the Dhar Commission. The Linguistic Provinces Commission). 1948Oct 4Dr.Ambedkar presented the Draft Constitution to Constituent Assembly. 1948Nov 20The Constituent Assembly adopted Article 17 of the Constitution for the abolition of Untouchability. 1949Jan 15Dr Ambedkar was presented with a Purse at Manmad by his admirers. He addressed a large gathering. 1949Jan 21He stayed at Aurangabad in connection with his opening proposed College. During the stay he visited Ajanta – Ellora Caves. 1949Mar/ mayDr Ambedkar visited Bombay in connection with College work and for a medical check-up. 1949SeptMeeting between Dr Ambedkar and Madhavrao Golvalker, Chief of RRs and the residence of Dr Ambedkar at Delhi. 1949NovDr Ambedkar came to Bombay for college work meeting and medical check-up. 1949NovDr Ambedkar addressed the Constituent Assembly. 1949Nov 26Constituent Assembly adopted the Constitution. Dr Ambedkar came to Bombay for check-up. 1950Jan 11Dr Ambedkar addressed the Siddharth College Parliament on the Hindu Code Bill. In the evening he was presented with a silver casket containing a copy of the Indian Constitution at Nare Park Maidan, Bombay. MayDr Ambedkar’s article The Buddha and the Future His Religion’ was published in the journal of Mahabodhi Society, Calcutta. Dr.Ambedkar addressed the Young Men’s Buddhist Association on “The Rise and Fall of Hindu Women”. Dr Ambedkar spoke on the “Merits of Buddhism” at the meeting arranged on the occasion of Buddha Jayanti in Delhi. 1950DecDr Ambedkar went to Colombo as a Delegate to the World Buddhist Conference. 1951Feb 5Dr.Ambedkar, Law Minister introduced his “Hindu Code Bill” in the Parliament. 1951Apr 15Dr Ambedkar laid the foundation stone of “Dr Ambedkar Bhavan”. Delhi. 1951JulyDr Ambedkar founded “The Bhartiya Buddha Jansangh”. 1951Sept 9Dr Ambedkar resigned from the Nehru Cabinet because, among other reasons, the withdrawal of Cabinet support to the Hindu Code Bill in spite of the earlier declaration in the Parliament by the Prime Minister Pt Jawaharlal Nehru, that his Government would stand or fall with the Hindu Code Bill. Apart from this Nehru announced that he will sink or swim with the Hindu Code Bill. Dr Ambedkar published his speech in book form under the title The Rise and Fall of Hindu Women. 1951Sept 19The marriage and divorce Bill was discussed in the Parliament. 1951Oct 11Dr Ambedkar left the Cabinet. 1952JanDr Ambedkar was defeated in the First Lok Sabha elections held under the Constitution of Indian Republic. Congress candidate N. S. Kajrolkar defeated Dr Ambedkar. 1952MarDr Ambedkar was introduced into Parliament as a member of the Council (Rajya Sabha) of States, representing Bombay. 1952June 1Dr Ambedkar left for New York from Bombay. 1952June 15Columbia University (USA) conferred the honorary Degree of LL.D., in its Bi-Centennial Celebrations Special Convocation held in New York. 1952June 16Dr Ambedkar returned to Bombay. 1952Dec 16Dr Ambedkar addressed Annual Social Gathering of Elphinstone College, Bombay. 1952Dec 22Dr Ambedkar delivered a talk on “Conditions Precedent to the Successful working of Democracy” at the Bar Council, Pune. 1953Jan 12The Osmania University conferred the honorary Degree of LL.D on Dr Ambedkar. 1953MarThe Untouchability (offences) Bill was introduced in the Parliament by the Nehru Government. 1953AprDr Ambedkar contested the By-Election for Lok Sabha from Bhandara Constituency of Vidarbha Region but was defeated Congress Candidate Mr Borkar. 1953MayOpening of Siddharth College of Commerce and Economics in Bombay. 1954MayDr Ambedkar visited Rangoon to attend the function arranged on the occasion of Buddha Jayanti. 1954DecDr Ambedkar participated as delegate to the 3rd World Buddhist Conference at Rangoon. 1955April 3Delivered a speech “Why Religion is necessary”. 1955DecPublished his opinions on linguistic states in book form under the title Thoughts on linguistic States. 1955Dec 27Dr Ambedkar spoke against reservation of seats in the State and Central Legislatures. 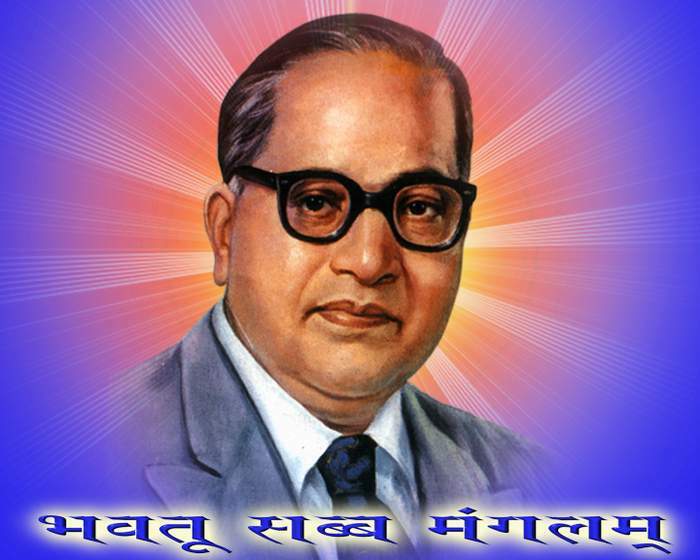 1956FebDr Ambedkar completed his The Buddha and His Dhamma, Revolution & Counter-revolution in Ancient India. 1956Mar 15Dr Ambedkar wrote and dictated the Preface of The Buddha and His Dhamma. 1956May 1Dr Ambedkar spoke on Linguistic states in the Council of States. 1956May 24Dr Ambedkar attended a meeting at Nare Park organised on the eve of Buddha Jayanti, Shri B.G.Kher, Prime Minister of Bombay was Chief Guest. This meeting was the last meeting of Dr Ambedkar in Bombay. 1956JuneOpening of Siddharth College of Law in Bombay. 1956Oct 14Dr Ambedkar embraced Buddhism at an historic ceremony at Diksha Bhoomi, Nagpur with his millions of followers. Announced to desolve S.C.F and establish Republican Party. 1956Nov 20Delegate, 4th World Buddhist Conference, Khalinandu, where he delivered his famous speech famous speech ‘Buddha or Karl Marx’. 1956Dec 6Maha Nirvana at his residence, 26 Alipore Road,New Delhi. 1956Dec 7Cremation at Dadar Chawpatti – Now known as Chaitya Bhoomi Dadar (Bombay).